A Spanish Village Stays Afloat, Thanks To Corona Beer Tycoon : Parallels Antonino Fernandez, who made his fortune from Corona beer, died in Mexico in August at 98. But he never forgot where he came from — a tiny village in northern Spain that he helped support for decades. Antonino Fernandez was born in 1917 in the village of Cerezales del Condado, in Spain's northern León province. Until his health deteriorated about five years ago, Fernandez came from Mexico to visit his hometown most summers. He and his wife had no children and were generous with financial help to distant relatives and former neighbors. 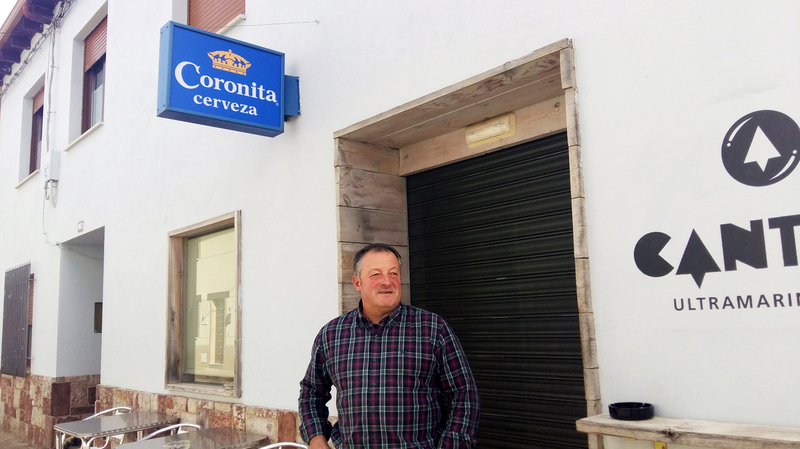 After one of the founders of Corona beer died last summer at age 98, some news went viral: In his will, he'd apparently left his fortune to the tiny, hardscrabble village in northern Spain where he was born. Each resident — mostly retired farmers and miners of meager means — would receive more than $2 million. The inheritance, first described in a local Spanish newspaper and then picked up by international media, seemed incredible — a heartwarming act of generosity toward the man's childhood neighbors in a village that hadn't been his home for more than 75 years. It didn't happen quite that way. But the truth also reveals his extraordinary generosity. 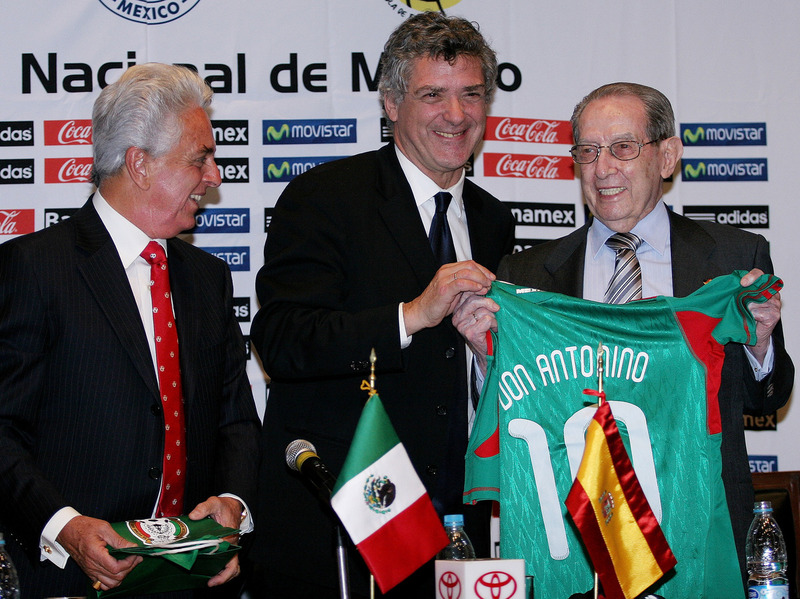 Fernandez (right) is shown here in Mexico City in 2010 with Justino Compean (left), president of the Mexican Soccer Federation, and Angel Maria Villar of the Spanish Royal Soccer Federation. Fernandez migrated from Spain to Mexico as a young man. 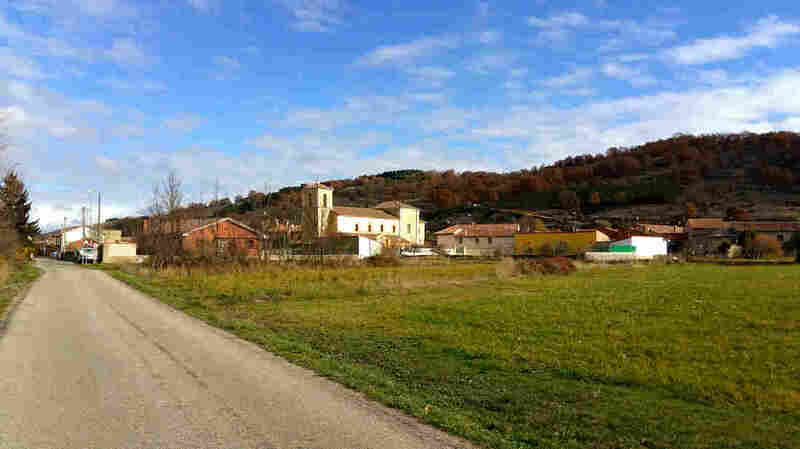 NPR traveled to the village, Cerezales del Condado, a four-hour drive north of Madrid in the northern province of León, and interviewed about half of its residents as well as officials at a charitable arts foundation the Corona tycoon, Antonino Fernandez, set up before his death. They all said Fernandez did not leave a will stipulating his fortune should be divided among the few remaining village residents. But he did invest millions in his hometown during his lifetime. And many locals credit Fernandez with keeping the town alive, even as others around it have been abandoned. As in many small Spanish villages without enough residents to support a store, a truck pulls up in Cerezales del Condado daily. The driver beeps her horn, parks in the main square and sells groceries out of the back of the truck — bread, milk, even fresh trout on ice. When NPR asks elderly shoppers how many people live in the village, they begin counting on their fingers. "Look at this empty street, with all the shutters drawn on the houses. In winter, there are only about 15 residents," says Fermina Fernandez, who is in her 60s and is a distant relative of the late Corona magnate. "He left so long ago for Mexico! Everyone has left over the decades. Some return for summer vacation, and lately we've been getting tourists too." Construction is underway for the arts complex on the outskirts of Cerezales del Condado, paid for by the late Antonino Fernandez. He made his fortune in Mexico but donated much of it to his Spanish hometown for projects like this. 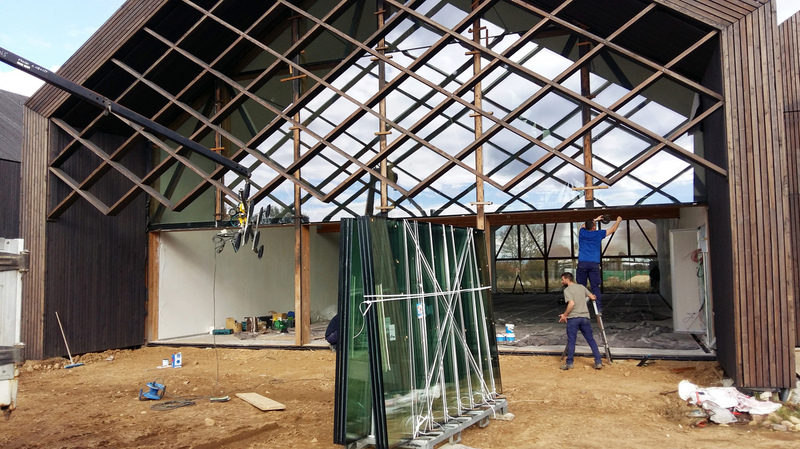 She gestures toward a soaring glass-and-timber arts complex, still under construction on a hill dotted with oak trees overlooking the humble village. It's the new headquarters of the Cerezales Antonino y Cinia Foundation, a private foundation Fernandez set up in 2008 to offer arts and educational activities in his hometown. Throughout the 20th century, people quit the Spanish countryside in droves — fleeing rural poverty for jobs in the city. Fernandez was one of them. He was born here in 1917, one of 13 siblings in a poor family. He married his high school sweetheart, and the couple migrated to Mexico after the Spanish Civil War. Fernandez made his fortune as CEO of Grupo Modelo, the company that makes Corona beer. Fernandez's story is actually a common one in Spain: A native son sails across the Atlantic in search of fortune but never forgets his roots — though Fernandez got richer than most. For centuries, Spaniards have called those who have migrated to America indianos. Some say the word dates to the era of Christopher Columbus, whose 1492 voyage across the Atlantic was commissioned by the Spanish king and queen in search of a route to India. Before he died last August, just shy of his 99th birthday, Fernandez donated about $8 million to his namesake foundation, in two installments: nearly $4 million in 2008 to renovate his former elementary school to house the foundation, and more than $4 million again in 2011, to commission construction of the new headquarters and performance space. "It will be open next April. It was the last investment of Antonino Fernandez," foundation spokeswoman Lucía Alaejos explains on a tour of the complex. This spring, the new building will begin hosting exhibitions by local and international artists, concerts, film screenings, puppet shows and a jazz festival — all free events, open to the public. The foundation also hosts art workshops for disabled youth. Maximino Sanchez, president of the neighborhood council in Cerezales del Condado, manages the town's only bar — which serves only Corona and Modelo beer brands. "He was just a nice guy," Sanchez says. "He didn't owe us anything." Everyone admits it's a rare sight — a sleek and sprawling arts complex in such a tiny backwater. "You don't get facilities like this in towns 30 times the size!" says Javier Lopez, a construction worker. Thanks to Fernandez, he has had steady work in Cerezales over the years. From afar, the multimillionaire donated money to help many locals renovate their homes — providing years of work for local laborers. Until his health deteriorated about five years ago, Fernandez visited his hometown most summers. He and his wife had no children and were generous with financial help to distant relatives and former neighbors. "He just paid for stuff — literally, everything you see around us," says Maximino Sanchez, president of the neighborhood council. "The cemetery — he paid for it to be expanded to double its size. He paid to pave the roads, put in new sewers, renovate the church and chapel. He put in gardens and a fountain." Sanchez rattles off a list of improvements he estimates cost Fernandez millions over the years. "He was just a nice guy. He didn't owe us anything," he says, taking NPR on a tour down the village's main avenue, which has been renamed Antonino Fernandez Street. Sanchez and his family run the town's only bar, Cantina, which serves only the Modelo and Corona brands of beer, from Fernandez's company. In Spain, everyone dreams of winning the famous Christmas lottery, El Gordo — "the fat one" in Spanish. It's a group thing — whole villages win. And that's how people in Cerezales say they feel — like they've won the lottery every year since Antonino Fernandez struck it rich. "It's incredible what he has done. I don't have words. It's not the kind of thing you can measure," says Bruce Lopez Gregory, 21, who grew up in Cerezales and was inspired by Fernandez to study international business at a university in the provincial capital, León. "He's improved our life level. It's priceless." Aside from donations to his arts foundation and village infrastructure, Fernandez also helped to start a local service company, Soltra, with a social mission to employ people with disabilities. Some 93 percent of its employees are disabled. He and his wife also paid for renovations to a Catholic monastery in León. Fernandez wanted to keep his hometown alive. Last year, a young couple moved to Cerezales with their two children — the first youngsters to live here in years. This spring, the new arts center on the hill will open for jazz concerts and merriment. And Corona beer will be served.